Announcement of Cancellations, Camden County Closed on Wednesday, March 21. Camden County has announced the following cancellations due to the impending snow storm. Please check back as this page will be updated throughout the day. Camden County Animal Shelter will be closed to the public on Wednesday, March 21. 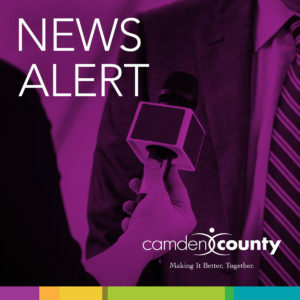 Camden County will be closed for all non essential county operations on Wednesday, March 21. Camden County College has canceled classes and activities at all campuses for Tuesday, March 20. Keys to Saving Lives: Screening, Brief Intervention, and Referral to Treatment, scheduled for Thursday, March 22 has been canceled due to weather. The monthly Board meeting of the Camden County Board of Social Services for tomorrow Wednesday, March 21, 2018 has been canceled due to weather concerns for tomorrow. The Camden County “On The Road” Show for Tuesday, March 20th at Woodlynne Borough Hall has been canceled. No reschedule date has been announced. What to Look For “ An Interactive Teenage bedroom Seminar scheduled for Tuesday, March 20th at Triton Regional High School has been canceled. It has been rescheduled for April 11th.